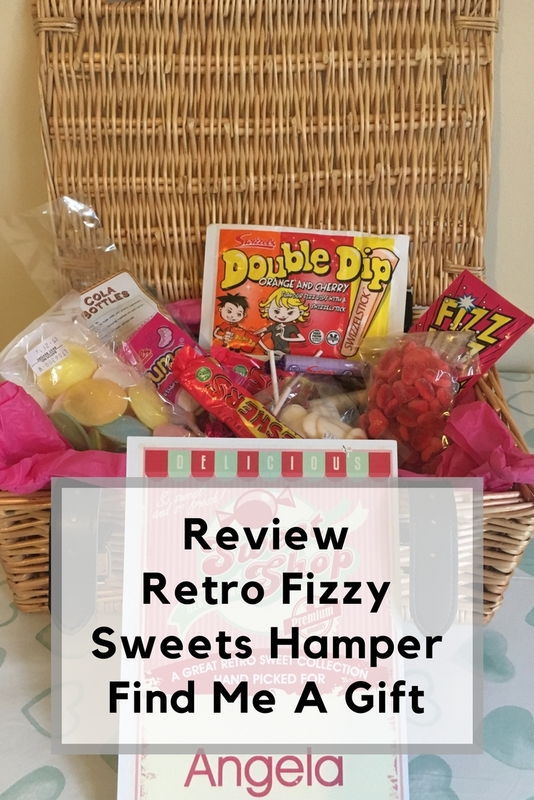 There are two words I like hearing, sweets and hamper, so when the two are combined and I had the opportunity to try out the Retro Fizzy Sweets Hamper from Find Me A Gift, I couldn’t refuse. 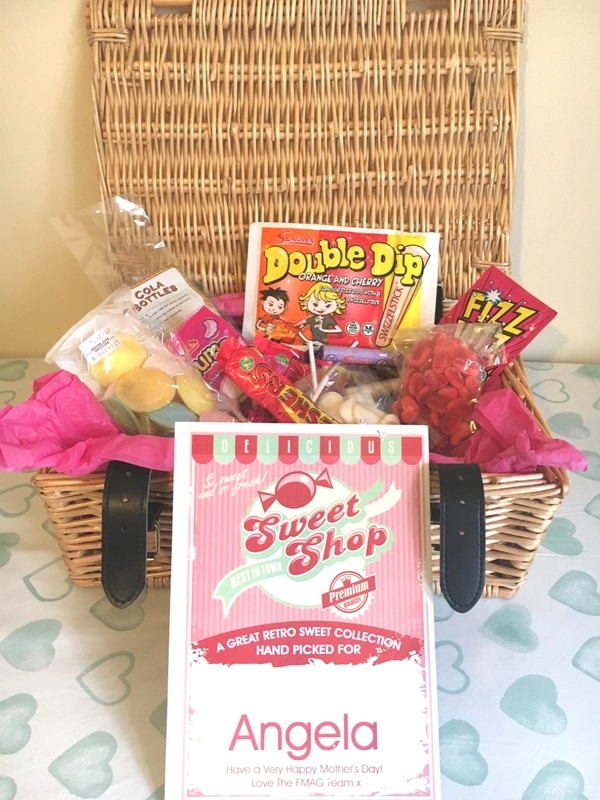 The Retro Fizzy Sweets hamper from Find Me A Gift comes in a wicker hamper with buckle clasps, measuring 22cm x 32cm x12cm. There is a personalisation option for the card to include a name and message for the recipient. I remember when a I was little, my Mum used to take us to the Post Office in the village which also sold penny sweets. We had an allowance of 10p per week which back then would buy us 10 sweets. This was our Friday afternoon treat and I remember choosing which 10 sweets I wanted. When inflation happened and sweets began to cost 2p each, our allowance was increased to 20p. Looking back I think this was a great idea from my Mum and Dad, as it meant we had a treat each week that we chose, but we were limited on the sugary treats that they gave us. Now, when we want sweets, it’s off to the pick and mix station in the local supermarket as we don’t often pass any traditional sweet shops. 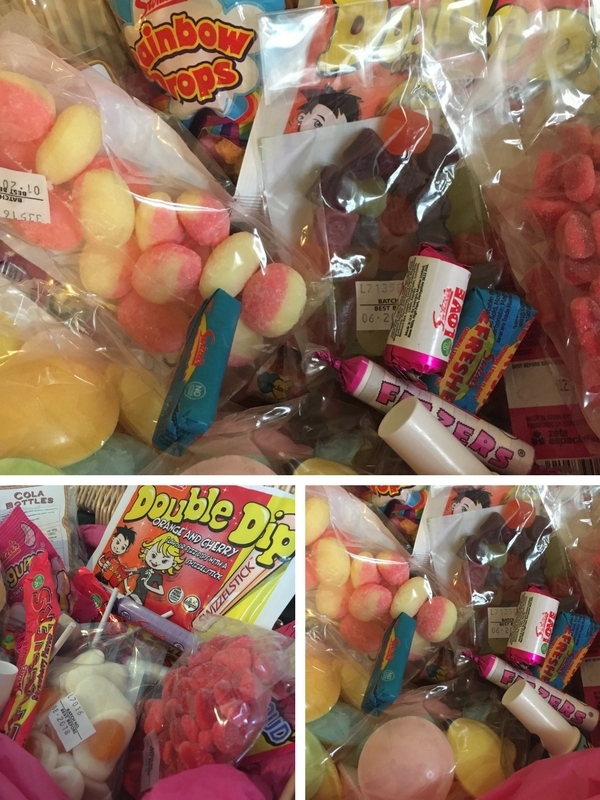 To look through the Retro Fizzy Sweets hamper was exciting as I was looking forward to seeing how many of my favourites were going to be included. 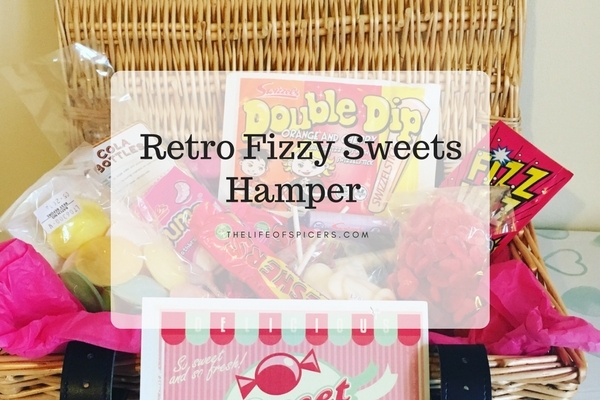 The Retro Fizzy Sweets hamper from Find Me A Gift includes approximately 27 different sweet varieties. More than enough for anyone to choose something from. Abby was straight in finding the fried eggs which were the first to be opened. I decided to opt for the jelly snakes and the teddy bears. Each selection is a generous amount in wrapped bags according to weight, or individually packed tubes of sweets such as Parma Violets and Love Hearts. Some other varieties include the Wham bars, Dib Dabs, Cola bottles and flying saucers. The Retro Fizzy Sweets hamper is a great gift idea for many occasions including Mother’s Day that is coming up shortly. I know I would be very happy to receive this as a Mother’s Day gift. Equally this hamper would make an idea gift for plenty of different occasions. The sweets included in the hamper may contain traces of soya, gluten, wheat, soya and milk. Priced at £34.99, the Retro Fizzy Sweets hamper is available for next day delivery if the order is placed before 11am. You may also like to read this Disney Inspired Mother’s Day Gift Guide if you’re looking for ideas.